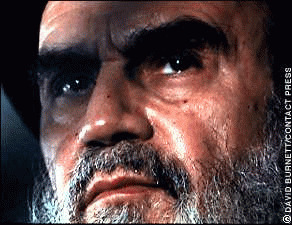 Ayatollah*1 Khomeini's fame in western countries is mostly related to the events which took place from 1979 to 1982. However, he had been a part of Iranian politics since the early 1950's. His introduction to western media was due to his leadership during the Iranian revolution of 1979. Khomeini became an undesirable world figure when he sided with the Muslim students who had taken American embassy personnel hostage in Tehran. That event which is known as the hostage crisis lasted 444 days. He began the process of becoming an undesirable character in Iran when he ordered the first executions without the due process of law. The purpose of this paper is not to provide an analysis of the historical events surrounding the reign of Ayatollah Khomeini. Rather, it is an attempt to understand Khomeini's psychopathology and its impact on himself and others. The 31rst anniversary of the Iranian revolution is February 11, 2010. This is a special day for all of us. 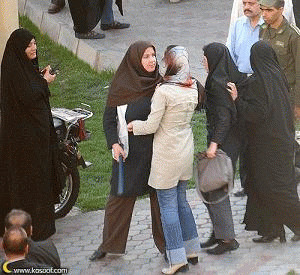 People of Iran remember it with joy or anger; they never forget it. At that time, along with millions of others, I was involved in the revolution of 1979. I might not be able to get away from guilt by blaming my errors on youth and naïvete', but I can certainly claim that I was such a small pawn that I did not have any impact on those events. Having said that, looking at the pictures of the lost friends and those unknown heroes who died during the last thirty years causes a lot of personal sorrow over what has taken place. The honorable people of one of the world's oldest civilizations and the first super power, who have put up a great fight for 150 years for freedom, yet they are deprived of the most basic human rights. It is my hope that this paper will serve as a tool to shed light on how an entire nation got duped by a geriatric clergyman. Also, I hope it serves as my penance for whatever involvement I am guilty of. 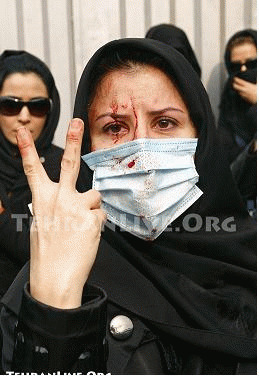 Currently, there is an uprising in Iran, which is referred to as the Green Movement. Unfortunately, it is more red than green and we are witnessing again the type of savagery which is rejected by all faiths of all nations. The men of God and representatives of the Messiah are ordering the most heinous acts of barbarism and cruelty. I have looked at the pictures of those mothers who are deprived of even peacefully protesting the death of their children - their children who were murdered in cold blood by the hands of the savage regime, which is also plundering our land and killing our scientists. While creating the Islamic republic, Khomeini earned the title of the founding father of the Islamic Republic. I should add to this, that he is the original criminal, guilty of crimes against humanity and crimes against the Iranian people. He was able to single-handedly destroy the dreams of millions of people who were fighting for their freedom and replaced them with the horrific nightmares of Islamic Republic. His promises of the rule of God turned to be the rule of the worst demon ever wearing the cloth of the prophets. He did not leave us with just a bad experience but with a perpetual killing machine whose job is to protect its own existence while its existence is an insult to humanity. To induce so much pain and anguish on 70,000,000 people one must have a unique personality and a unique childhood. This paper is an attempt at understanding that character. They were guilty of many things, but this was not what we revolted over. Mr. Khomeini was born in the city of Khomein in central Iran, a small town 300 kilometers south of Tehran, with many small villages and farming at its core. For generations, his ancestors were clergymen. They originated in a village in India, and several of his ancestors were Ayatollahs. Since the family had devoted themselves to a Shiite sect of Islam and they did not have strong roots in Iran - there was more devotion to the faith than the country.